This timepieces features two different time zones,local time and home time. The quick set forward and backward function allows you to easily adjust the different time zones. 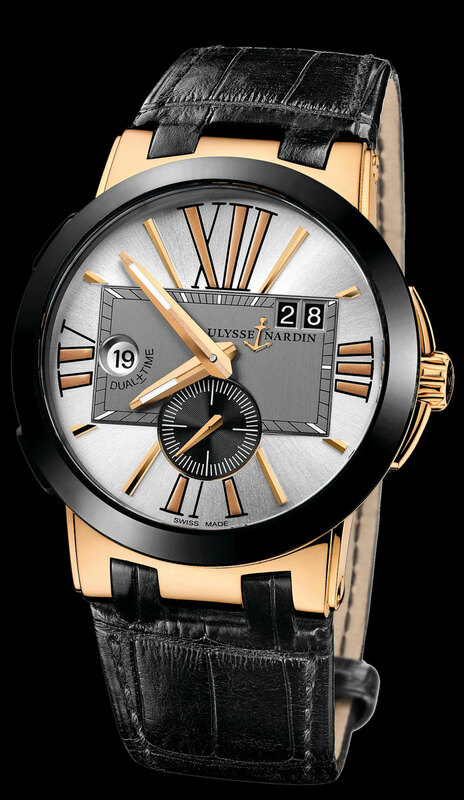 It is a 41mm, rose gold case, automatic movement, and big date. 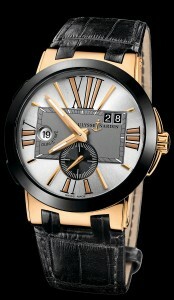 The 22K rose gold rotor is visible through the exhibition glass back. Shown on black crocodile strap with rose gold folding buckle.